When looking at mid-size SUVs, the engine might not be the first place you would think to look, but it’s a great place to start. The engine is, after all, the beating heart of your vehicle, so getting a sense of what it has to offer is quite important – even if you’re not looking at something like a heavy-duty pickup or a high-octane muscle car. When comparing the 2019 Toyota Highlander vs 2019 Honda Pilot, it’s important to look at all the options available and consider what you’re looking for and how those two things can line up. By comparing these two SUVs we’ll start with the more comparable builds. The Highlander allows for more versatility, meaning the starting configuration may be lower than offered by the Pilot however when comparing them apples to apples, using engine size for example, you may be surprised with the outcome. The 2019 Toyota Highlander has three different engines available, depending on the model you’re interested in and whether you want a front-wheel drive or all-wheel drive configuration. The starting engine is a 2.7L 4-cylinder engine that provides up to 185hp and 184 lb.-ft. of torque. That provides plenty of power for most drivers, but if you need better performance, then there is also an available 3.5L V6 engine that offers up to 295hp and 263 lb.-ft. of torque. By comparison, the 2019 Honda Pilot has one major disadvantage: only a single engine is available no matter what model or build you are looking at. While you can potentially choose from either two-wheel or all-wheel drive with the Pilot, no matter what, you are stuck with the same engine. The only upside to this is that it’s a pretty good engine. The Pilot comes with a 3.5L V6 that offers up to 280hp and 262 lb.-ft. of torque. As you can see, however, that’s quite a bit less horsepower and ever-so-slightly less torque than what the Highlander’s V6 can deliver. One final thing, however, is also worth mentioning: the 2019 Toyota Highlander is available with a hybrid engine. Hybrid models come with a 3.5L V6 hybrid engine that greatly increases fuel efficiency. There are no hybrid models for the Honda Pilot available, and so there is no option for a hybrid engine. When comparing mid-size SUVs like the 2019 Toyota Highlander and the 2019 Honda Pilot, it is useful to look at the interior features available inside both vehicles. It’s worth mentioning, however, that many of these are optional features that you won’t necessarily find at every trim level and in every model. So keep these in mind when considering if you would prefer the Highlander or Pilot, but know that you’ll probably need to look at different models of each to find exactly what you want. Depending on which model you look at, the 2019 Toyota Highlander includes three-zone automatic climate control, which includes a second-row control panel so passengers can keep themselves comfortable. The Highlander Limited with Platinum package includes perforated leather-trimmed heated and ventilated front row seats, power-adjustable driver’s seat with memory settings, and heated second-row chairs. The shift lever of the Platinum Highlander includes leather-trimmed metallic features with LED illumination, and a leather-trimmed heated steering wheel with a multi-information display and controls for phone, cruise control, and media. Similarly, the features found inside the 2019 Honda Pilot will depend on what model you look at but can include tri-zone climate control with humidity controls and air filtration. The leather-wrapped heated steering wheel includes mounted controls, and there are LED map lights in the front row. The Honda Pilot Elite includes an automatic-dimming rearview mirror, integrated second-row sunshades, and blue ambient LED lighting. When looking at 2019 vehicles, you expect to find great technology standard in many of them, with optional upgrades and available features that push things even further. When considering the 2019 Toyota Highlander and the 2019 Honda Pilot, it’s important to look at technology at different levels and compare similar models so you can see what’s available. With that in mind, let’s look at the technology included in the base model of each vehicle, as well as what you can find in the most expensive and advanced models. The baseline 2019 Toyota Highlander, called the LE, includes a 6-inch touchscreen multimedia display that is part of the media and sound system in the vehicle. This is part of a 6-speaker sound system, with an auxiliary input port and USB port, support for iPod connectivity, voice recognition, and Bluetooth connectivity. There is also a 4-inch color LCD information display with data for the driver that includes an odometer, fuel economy details, and other information. By comparison, the 2019 Honda Pilot LX, which is the baseline model, features a 5-inch LCD screen, which is part of a 7-speaker audio system that includes Bluetooth support and an auxiliary input jack. The Pilot LX includes a center console USB port and 12v power outlets on the front and center consoles. There is also a driver information system that includes information such as a cruise control indicator, fuel economy details, and engine indicators. If you really want impressive technology, then there is the 2019 Toyota Highlander Limited with Platinum package that includes an 8-inch high-resolution touchscreen multimedia display with integrated Navigation. This is part of a 12-speaker JBL sound system that includes a subwoofer, which features an aux port, USB 2.0 support, advanced voice recognition, HD Radio, and other features. The Platinum Limited includes a 4-inch LCD driver information display that includes additional information such as turn-by-turn directions, audio status, and telephone data. The 2019 Honda Pilot Elite features an 8-inch high-resolution touchscreen display with support for Apple CarPlay and Android Auto. It is part of a 10-speaker audio system with a subwoofer, which has an aux input, USB ports, and speed-sensitive volume compensation. The Elite also features a driver information display that includes audio and phone information, a compass, and directions. When comparing vehicles, everything should be secondary to the safety features that are available on them. No amount of power and performance or impressive tech features will matter if your vehicle cannot help you avoid collisions and protect you and your passengers. Both the 2019 Toyota Highlander and the 2019 Honda Pilot have great overall safety features, but there are a few ways in which the Highlander presses ahead. Keep in mind that some of these features might only be available on certain higher models, but these are the overall available options to consider. The 2019 Toyota Highlander features Toyota Safe Sense, which includes a pre-collision system with pedestrian detection, a lane departure alert with steering assist, automatic high beams, and dynamic radar cruise control. It also has stability and traction control, smart stop technology, numerous airbags and 3-point seatbelts, and child-protector rear door locks. The Highlander has hill start assist and downhill assist, an available blind spot monitor with rear cross-traffic alert, and available rear parking assist sonar to help prevent accidents or striking objects while parking. By comparison, the 2019 Honda Pilot also has an impressive number of safety features including numerous airbags, 3-point seatbelts, and child-proof rear door locks. It includes stability assist with traction control, brake assist, and LED daytime running lights. The included Honda Sensing package features road departure mitigation, lane keeping assist, and a collision mitigation braking system. All of these features are great, but ultimately the Toyota just offers a bit more to keep you safe and prevent collisions. When looking at the 2019 Toyota Highlander vs 2019 Honda Pilot, it is clear that both are high-quality mid-size SUVs, but there are just certain features that set one of them apart. The Toyota Highlander has three different engines to choose from so that you can build a Highlander that is perfect for you, while the Pilot only has one. The Highlander includes the option for a hybrid engine for much greater fuel efficiency, while the Pilot is not available as a hybrid model in any build. The 2019 Toyota Highlander has an available 12-speaker JBL sound system that creates a remarkably immersive audio experience while the Pilot, at best, only features 10 speakers. The minimum screen size for the Highlander’s multimedia system is larger than the minimum screen in the Pilot’s system, and the luxurious interior design of the Highlander, especially the Platinum Limited, simply cannot be beaten. While words and pictures are great, to fully appreciate the 2019 Toyota Highlander, you really have to see it for yourself and sit inside it. Come on over to Joseph Toyota and see the new Highlander to witness firsthand everything that it has to offer. 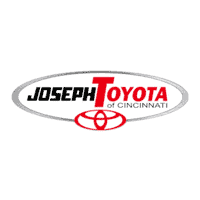 At Joseph Toyota, we don’t believe in high-pressure sales tactics or deceptive techniques to try to sell cars. Instead, we rely on honesty and integrity, and treating every customer with respect, while selling the best cars, trucks, and SUVs on the road. See for yourself just how much fun buying a new SUV can be and come check out the 2019 Toyota Highlander today.